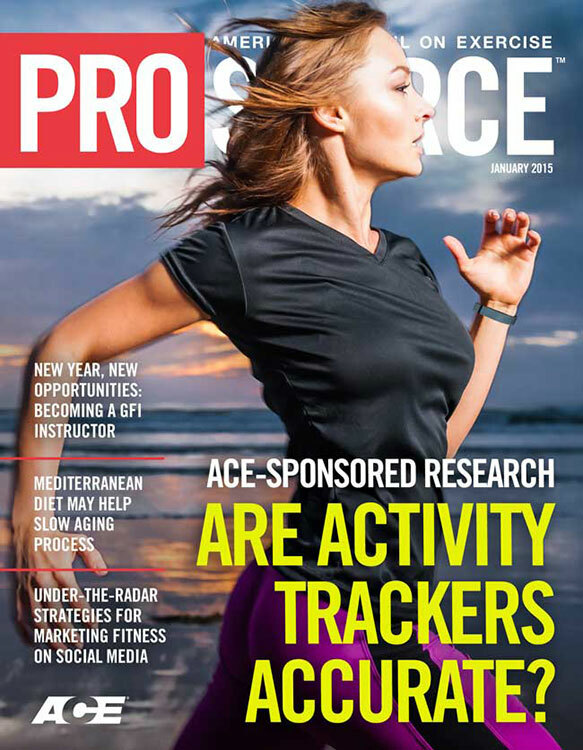 ACE-sponsored Research: Are Activity Trackers Accurate? 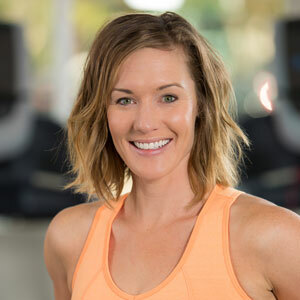 As a health and fitness professional, there is a wide range of clients that you can choose to focus on and include as a part of your business. It is possible, however, that you may be overlooking a significant segment of the population that desperately needs the guidance of a qualified health and fitness professional—those who experience chronic pain. Here's how you can help. According to the American Academy of Pain Medicine, more than 100 million Americans are affected by chronic pain (Table 1), which is more than diabetes, heart disease and cancer combined. Chronic pain can be defined as persistent pain that may plague a person for weeks, months or even years, and the effects can be debilitating. Among Americans who suffer from chronic pain, the most prevalent complaint is low-back pain (27 percent). Other common complaints include headaches, neck pain and facial pain. Equally staggering is the amount of money that is lost due to the effect of chronic pain on the U.S. workforce. 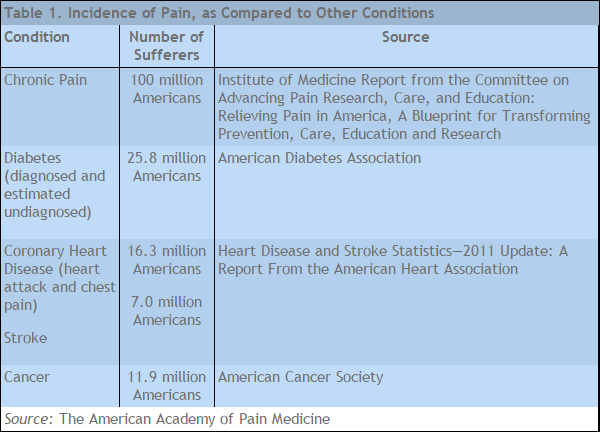 The American Academy of Pain Medicine compared data released in 2010 from the Institute of Medicine with data from a 2003 study published in the Journal of the American Medical Association. In 2003, U.S. businesses experienced a $61.2 billion loss due to decreased productivity caused by chronic pain Stewart et al., 2003). In 2010, this number jumped to a whopping $297.4 billion (American Academy of Pain Medicine, 2014). 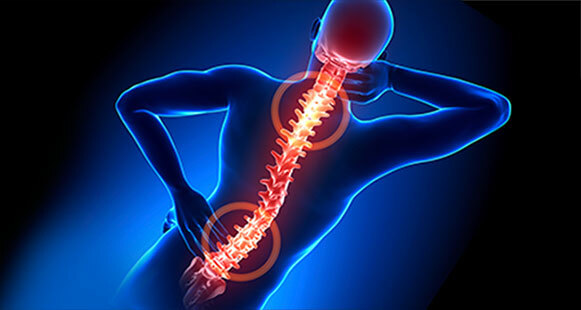 So we know that there are millions of people suffering from chronic pain, but what can you, the health and fitness professional, do to expand your business and help this group of clientele so in need of your services? Step #1 – Create a referral network. According to the American Academy of Pain Medicine (2014), 63 percent of adults who experience chronic pain have sought help from their family physician. Creating a referral program with a local doctor is a great way to increase business while helping those who likely need your services. Start with your own doctor and ask him or her for advice on how your efforts would be best received. It is important for the medical community to see you as an asset rather than a threat to their business or to the patient/client. Make sure you have information about how you can help their patients and be sure to let the physician know that referrals work in two directions (everybody wins). 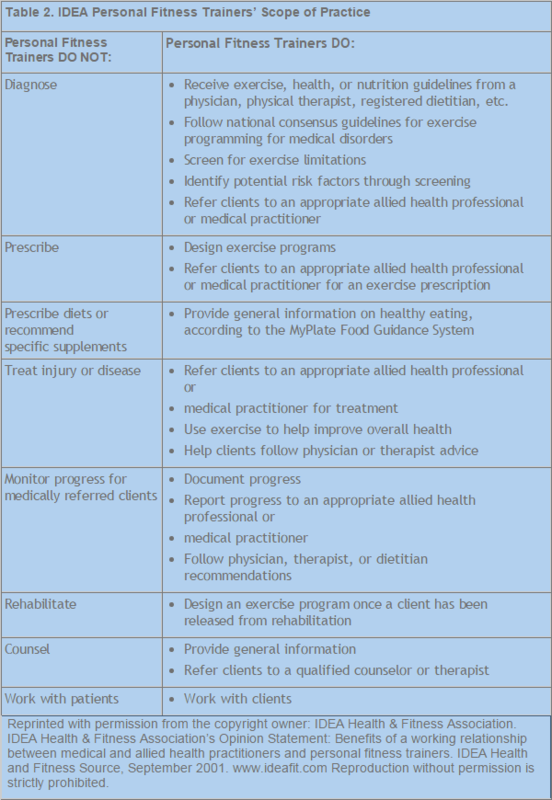 Referrals for chronic pain from a physician to a fitness professional should not overstep the bounds of a physical-therapy referral, but can be a part of the long-term overall health-improvement and pain-management plan. Creating a referral network with physical therapy offices is also an important part of the cycle. Once a client is released from physical therapy, he or she is likely to go back to his or her previous behaviors that caused the chronic pain. This is where you can be particularly helpful in helping the individual achieve long-term behavior change. In many cases, people find at-home rehabilitation programs to be challenging to do on their own, because they have to rely on their own initiative and motivation to complete the recommended exercises. For those clients who may not possess the appropriate level of intrinsic motivation to accomplish the tasks asked by their physical therapist, having a relationship with these clients and their therapists can help everyone achieve their goals and remain pain-free. Step #2 – Understand why your client is in pain. There are countless reasons why someone may suffer from chronic pain. Perhaps they were in a traumatic car accident years ago, or they were born with a genetic musculoskeletal issue. Most of the individuals who suffer from chronic pain, however, may have never experienced an acute incident and were never diagnosed with a genetic issue or disease. According to the 2013 State of American Well-being report released by Gallup-Healthways, obesity rates are still at their highest point and are contributing to physical pain felt on a regular basis. When an individual reaches out to a personal trainer for weight loss, he or she recognizes the need to lose weight. However, the person may not realize that his or her current body-fat percentage may also be contributing to chronic pain. Asking questions that require more than a simple “yes” or “no” response allows the client to open up and helps create a level of trust between the two of you. Be sure to actually listen to your client’s responses and take his or her past experiences into account when planning the program. Step #3 – Understand your scope of practice and the biomechanics involved. Within the fitness industry, there is a very thin line between assessments/screenings and diagnosing why a certain musculoskeletal issue exists. 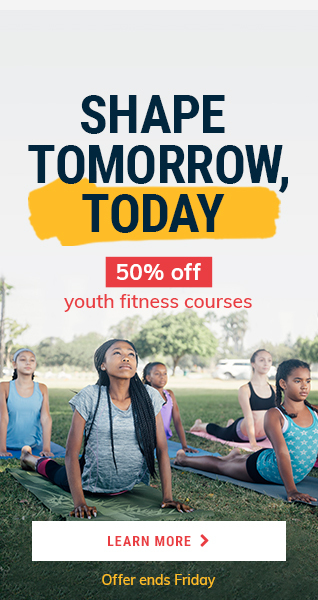 Remember, as a fitness professional, it is outside your scope of practice to diagnose an injury or prescribe treatment such as medications or supplements. 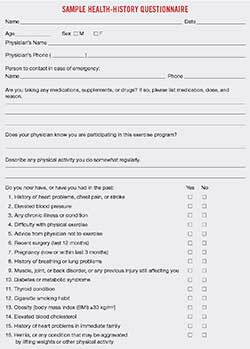 However, it is fully within your scope of practice as a fitness professional to perform exercise screenings to understand any limitations the client may have (Table 2). For many people, chronic pain resides around large joints or areas in the body that compensate when the next large joint in the chain is injured or does not have enough mobility or stability to appropriately control or provide movement. Understanding how all of the major areas along the kinetic chain work is essential to understanding the body as well as where pain may manifest itself. 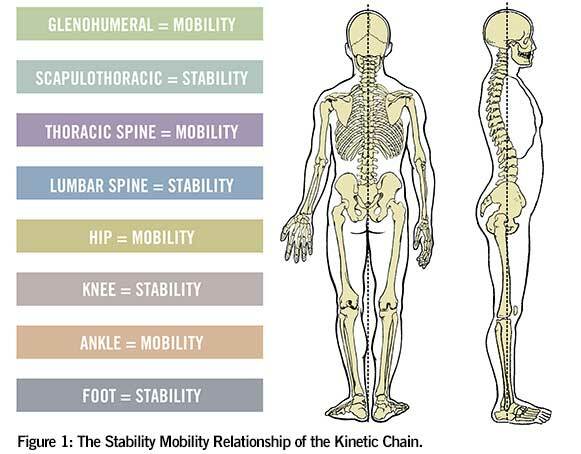 Figure 1 shows the major areas of body and whether those areas are meant to provide stability (resist movement) or mobility (allow for movement). When performing static postural assessments or movement screens, it is essential to keep this image in mind. For example, during a bend-and-lift screen, you may notice that a client has limited range of motion in the ankles and is unable to dorsiflex his or her feet. Because the ankle is supposed to supply the body with mobility for walking, running and traversing uneven surfaces, the likely place a client may experience pain up the kinetic chain is the knee, hip or low back. For more information about how to help clients who experience chronic pain, check out these ACE continuing education courses from Anthony Carey and Justin Price. In short, it is important for you to be aware of the pain that clients are feeling and why they might be experiencing pain (without diagnosing anything), and be able to provide guidance as to how the client can improve his or her current pain level. American Academy of Pain Medicine (2014). The Cost of Pain to Business and Society Due to Ineffective Pain Care. Institute of Medicine of the National Academies (2011). Relieving Pain in America: A Blueprint for Transforming Prevention, Care, Education, and Research. The National Academies Press, Washington, D.C.
Stewart, W.F. et al. (2003). Lost productive time and cost due to common pain conditions in the U.S. workforce. Journal of the American Medical Association, 290, 18, 2443−2454. According to the American Academy of Pain Medicine, more than ________Americans are affected by chronic pain, which is more than diabetes, heart disease and cancer combined. Which of the following is NOT one of the three primary steps to expand your business and help those with chronic pain? Understand why your client is pain. Understand your scope of practice and the biomechanics involved. Obtain an advanced degree in kinesiology, physical therapy or related field.